Series HH savings bonds are redeemed by Treasury direct deposit. Series HH U.S. Savings Bonds are a variable rate 20-year paper savings bond last issued in September 2004. With these current-income bonds, the initial interest rate is reset to market rates after 10 years. Interest is paid to the bond owner every six months by check or direct deposit. 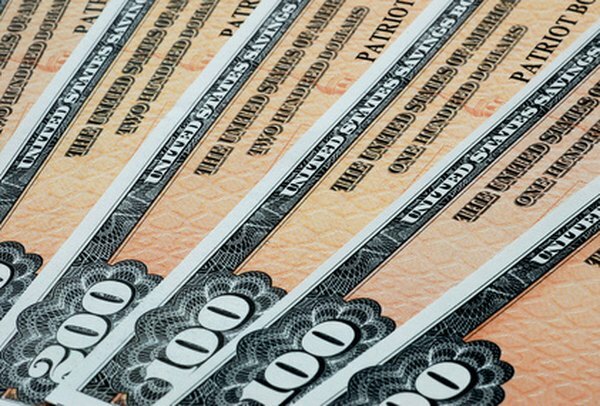 These bonds must be redeemed by the U.S. Treasury, not paid by your bank. Redemption means the owner will receive the purchase price of the bond. Take your Series HH bonds to your bank. Show your bonds and personal identification to a bank officer to establish that you are the actual bond owner or co-owner. A co-owned bond can be redeemed by any of the co-owners. Sign the back of your Series HH bonds in the presence of the bank officer. He must sign the bonds to certify that he has verified your identity and witnessed your signature. Direct your bank to forward your Series HH bonds to the Minneapolis Treasury Retail Securities Center, Federal Reserve Bank of Minneapolis, PO Box 214, Minneapolis, MN 55480, along with your instructions for payment into the direct deposit account that received your interest payments. If your bank doesn’t want to forward your bonds, mail them in yourself. Record the serial number, amount and issue date for each bond. Send them by registered mail. If you received interest payments by check, fill out Form PD F5396 to request direct deposit of the bond proceeds. The Treasury does not send Series HH bond redemption payments by check. You or your bank must send the direct deposit request form to the Treasury along with the bonds you are redeeming. The Treasury will deposit the purchase price of your bonds into your bank account. Can You Put a Savings Bond Into an IRA After Maturity? When an I or E Savings Bond Matures Is It Worth More Than the Face Amount?